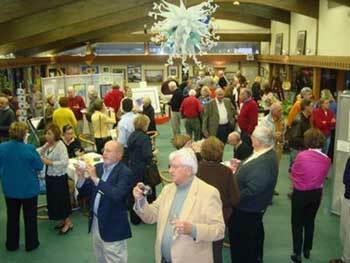 Community enrichment and support of the arts in Charlevoix takes place year 'round at the Charlevoix Circle of Arts. This vibrant, cultural center in downtown Charlevoix presents six major visual exhibits annually, including featured artists, plein air paint outs, an opera, and other performing art events, plus cultural trips. A quarterly schedule is comprised of children's camps, classes and workshops, varying from photography and ceramics, to oil and watercolor. Year 'round classes cover topics ranging from photography to quilting to rug hooking and more. The gallery shop is a great place to shop with pieces ranging from original art by some of the area's most talented artists to jewelry, photography, reproductions, fiber art, paintings, pottery, hand blown glass, just to name a few. 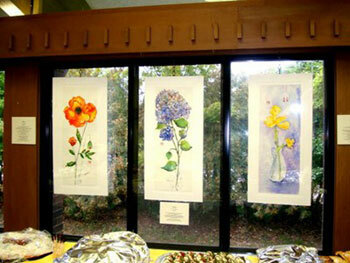 The ever changing exhibits bring in art lovers year 'round. With exhibits focusing on photography, glass, paintings, and more, the Charlevoix Circle of Arts has so much art to explore!